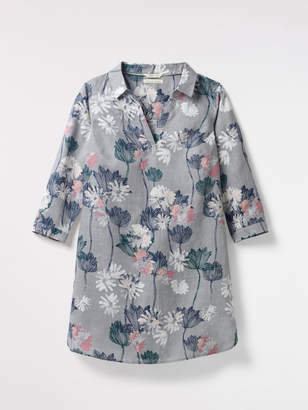 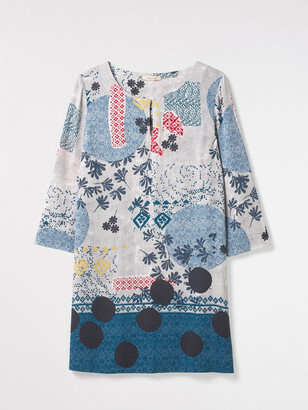 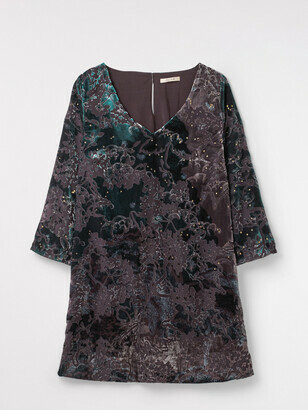 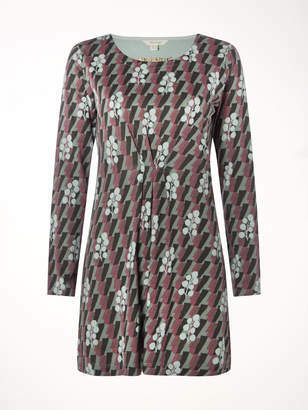 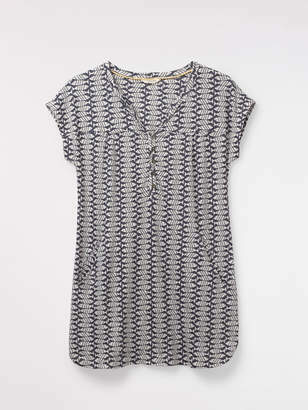 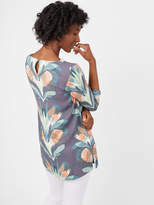 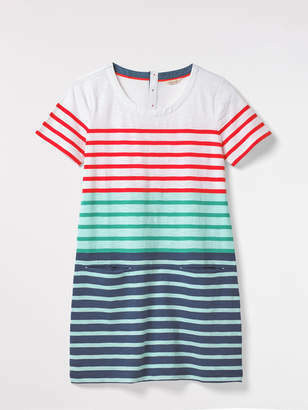 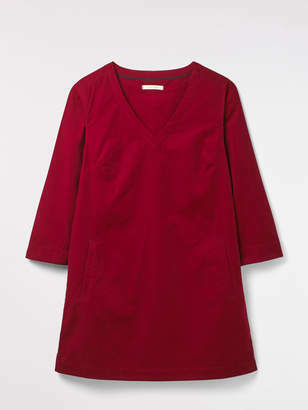 Pop this cool tunic in your suitcase for an outfit you can wear whilst your away. 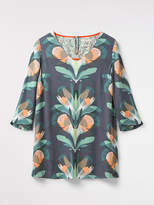 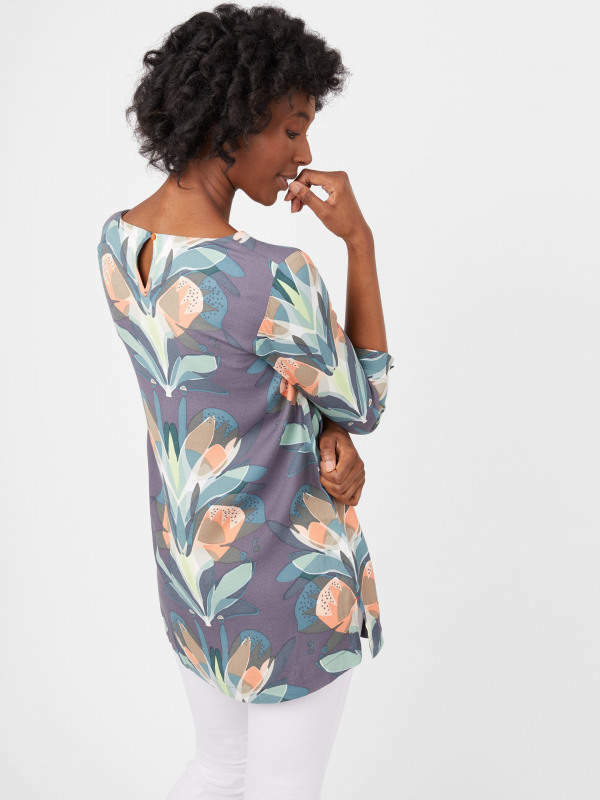 The artsy print brings a little bit of fun to the comfortable, relaxed shape and the soft V neckline makes for a chic off-duty look. 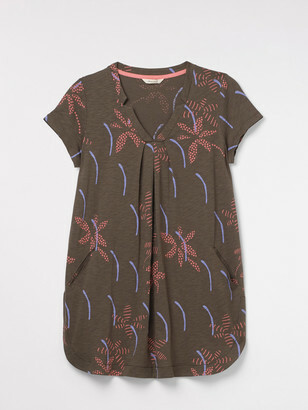 We've also added a loop hole and button on the reverse. 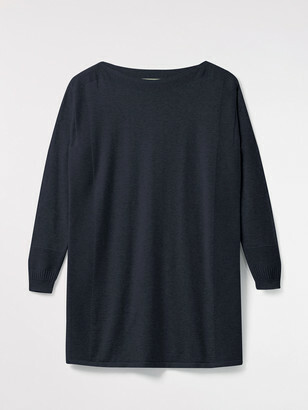 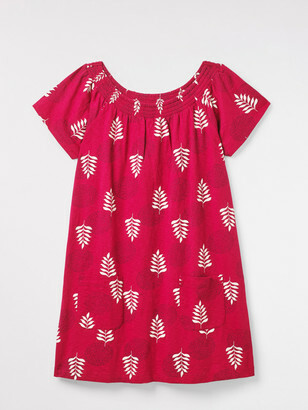 Unlined, 3/4 length sleeves.